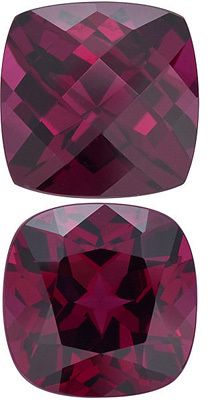 6.58 carats Rhodolite Gemstone in Cushion Cut, Rose Tinged Raspberry, 10.1mm Size This Genuine Natural Rhodolite Gemstone Displays A Vivid Medium Rich Raspberry With A Tinge Of Rose, Excellent Clarity, Cut And Life. 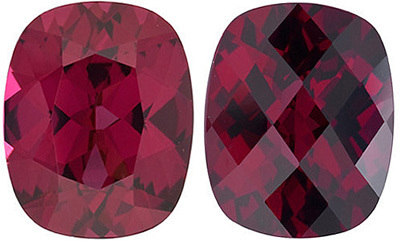 A Beautiful Stone In A Hard To Find And Desirable Shape And Size, Super Bright And Lively. A Rare Find. 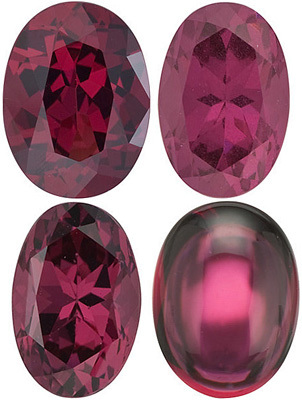 These beautiful pinkish red hued garnets include Rhodolite, Raspberry and a rare variety of Rhodolite known as Umbalite. A collection of this size is rarely seen. 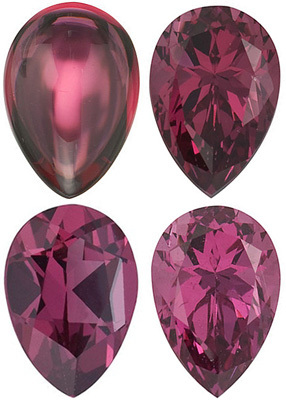 These very interesting and beautiful gems all display a predominate pinkish hue. 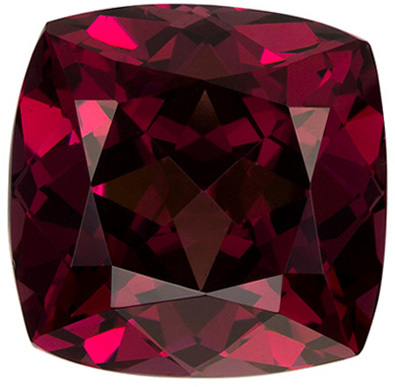 All have the wonderful brilliance, durability and timelessness that characterize the garnet species. 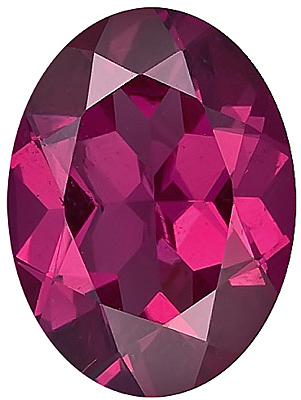 Tanzania produces the vast majority of gem garnet species but Kenya, Zambia, Namibia and Madagascar also produce spectacular gems. 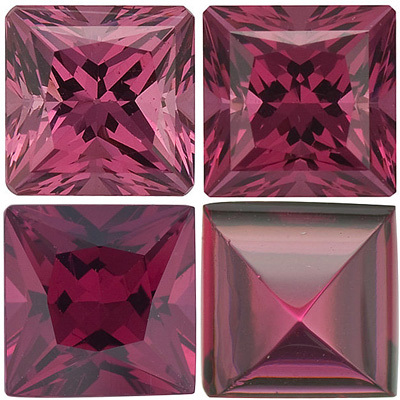 We select the rough gems and cut them to our exact USA cutting standards. 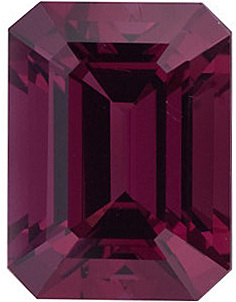 We have a tremendous inventory and cannot put all of our fine gems on display. 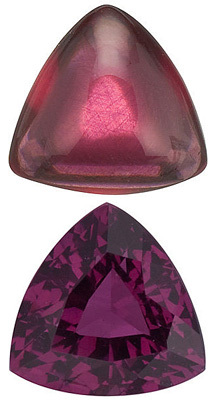 AfricaGems now stocks a full range of beautiful rhodolite garnets in calibrated sizes. 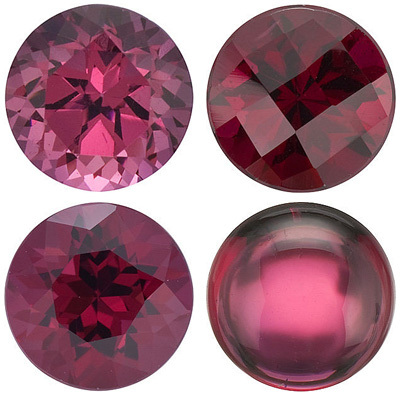 These calibrated loose rhodolites are easy to set in semi mount rings or pendants and are an easy and affordable solution to expensive custom jewelry. 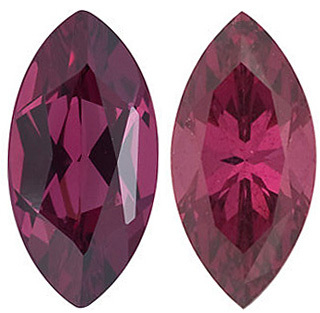 Be sure to see some of our unique Rhodolite Gemstone Rings. 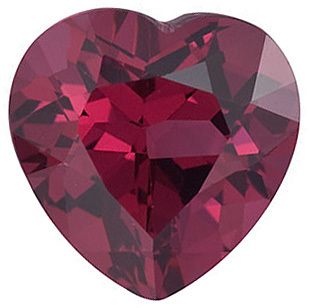 Learn More About Garnet Gemstones. 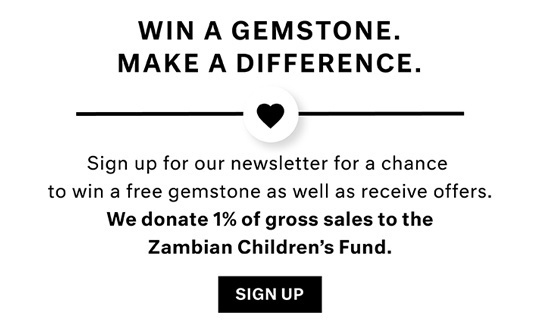 See our Unique Gemstone Buying Advantage Program!